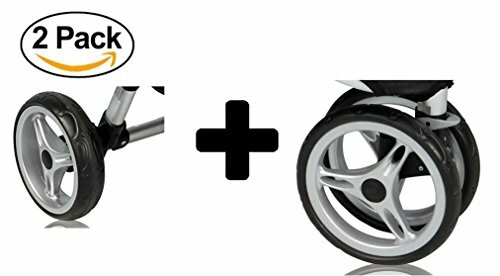 Includes 2 rear wheels and 1 front wheel for the City Mini 3 wheel single stroller. ONLY Compatible with City Mini 3 wheel stroller. NOT compatible with City Micro, City Mini 4 wheel, GT single, GT double, City Elite or Summit X3 or Summit XC models, Tour or Zip or any other strollers. All three wheels are original Baby Jogger parts.